LoveNikah.com: Russian singles are looking for their better half. Join FREE The best Muslim marriage agency in Russia! that's very nice,that's what i search for, specially for Muslim one. 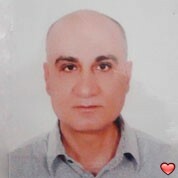 I'm Saeed Bazkhanei from Iran.I have been looking for a family oriented muslim Russian girl to marry. I know my culture bears its own mysticism that might appeal to Russian girls. I hope I will find my Russian half here.